Save money on tumble drying and look after the environment with this Beldray clothes airer. 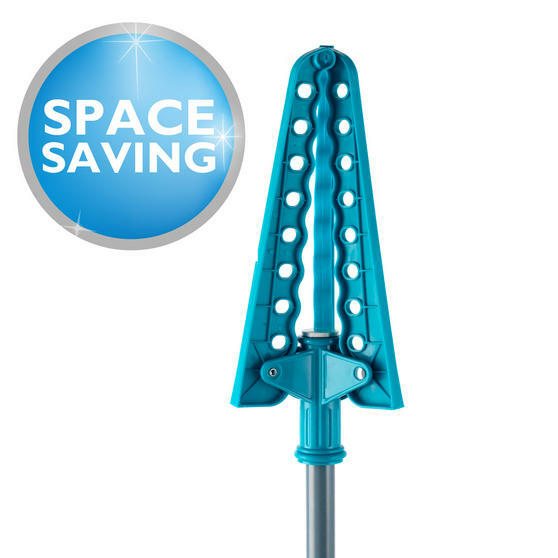 Perfect for indoor or outdoor use, it is strong and durable so you can leave your washing outside on a warm day and be confident that it will not end up on the floor. 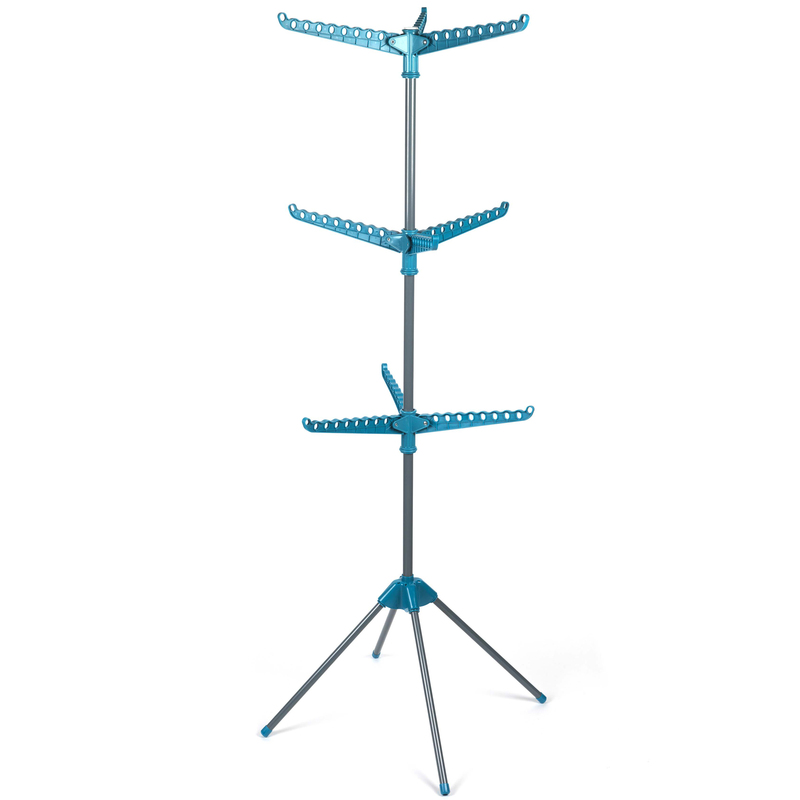 With 9 arms over 3 levels, you can dry your clothes on their hangers, helping creases to naturally drop out. 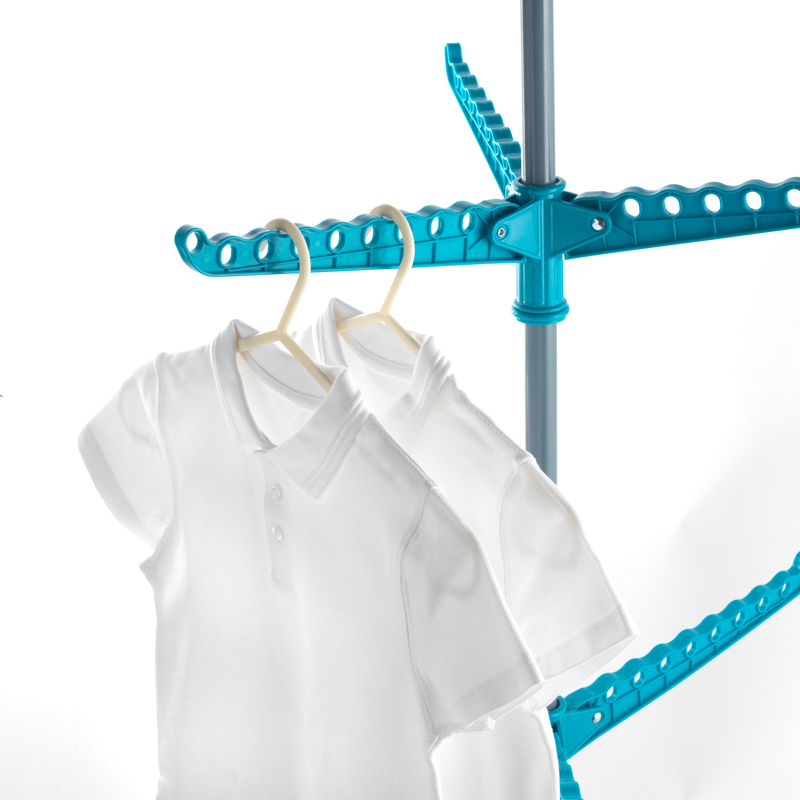 When your clothes are dry and put away, just fold the arms in and conveniently store it ready for next time. Dry your freshly cleaned clothes outside in the sun or in your laundry room on a rainy day using this compact Beldray 9 arm airer. 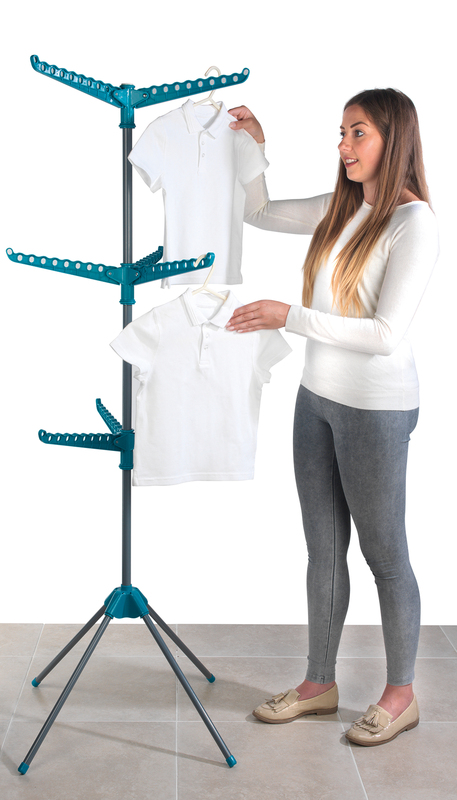 With 9 arms on 3 levels, the airer enables you to place your clothes on their hangers to dry naturally, allowing creases to drop out. Each arm can hold up to 8 hangers so you can dry all your clothes at once, and then place them straight into the wardrobe afterwards. Measuring 54 x 54 x 170 cm, it will take up minimal space while in use, and can conveniently fold up after use to be stored away.